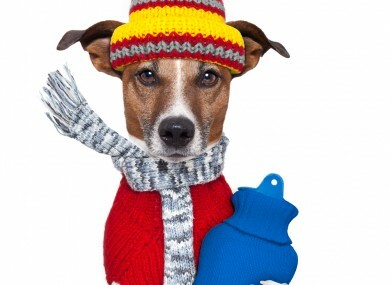 WRAP UP WARM tonight, because temperatures are going to drop to below zero. Met Éireann says that though tonight will be dry with clear spells and no wind, it will turn colder. Temperatures will fall to between +3 and -3 degrees, leading to “widespread sharp or severe ground frost and icy stretches on untreated surfaces”. Thankfully, the fog and frost is due to clear by tomorrow afternoon, and it will be dry with sunny spells. There will be a little light rain or drizzle in the west, and temperatures will rise to between 5 and 10 degrees. Tomorrow night won’t see a repeat of the below zero temps, thankfully, but we will see colder temperatures on Tuesday. Email “Grab that hot water bottle... it's set to be a cold night”. Feedback on “Grab that hot water bottle... it's set to be a cold night”.